The Danish-Thai Chamber of Commerce (DTCC) is a non-political, non-profit orientated legal entity for business people in Thailand who are involved in Thai-Danish business. The DTCC’s purpose is not only to provide Danish-Thai companies with a stronger collective voice towards the Thai authorities, but also to further promote and expand trade between Thailand and Denmark as well as establish a networking forum for the Thai and Danish businessmen living here or traveling here on business. Through Chamber events and media, DanCham acts as a forum where ideas, experiences and knowledge are exchanged, and where members will be exposed to an invaluable network in the region. The DTCC was established on 30 June 1992 as the first Danish Chamber in the South-East Asia region. To facilitate business opportunities by optimizing synergies between Thai and Danish values and raising standards of socially responsible and environmentally sustainable business practices. The regulations be downloaded here. As a non-profit organization, DanCham is funded entirely by membership fees and revenue generated from events and media activities. The Chamber is run by the Secretary General backed up by supporting Chamber staff. Every third Thursday of the month, the DTCC’s staff consults with the Board of Directors, all elected by the DanCham members it the Annual General Meeting. Furthermore, the board is divided into active subcommittees in order to further drive the Chamber’s work. 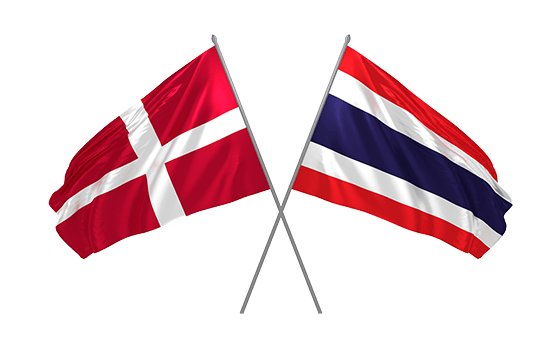 The main objective of the Danish-Thai Chamber of Commerce is to strengthen the network between Danish and Thai corporations in the region as well as promoting and developing trade links between Denmark and Thailand. The DTCC aims to provide members with ample opportunity to network and learn more about doing business in Thailand. Through popular monthly networking events, conferences and seminars with high ranking speakers addressing matters that affect trade in the region, DanCham stays connected with its members and environment. The Chamber keeps up with national tradition by hosting the popular Danish Christmas and Easter Lunches. A perfect occasion for our Thai connections to experience a classic piece of Denmark. Our website and our News Letters aim to update our members of current Chamber affairs as well as member. Our media acts as a member-to-member platform sharing updates about the Danish-Thai business community. The By-Laws or more correctly the Regulations of the Chamber can be download at the link below. Please note that the Regulations has been amended a couple of times since the attached August 2015 version (minor changes). These amendments will by uploaded as soon as possible. Through these activities the Danish-Thai Chamber of Commerce is, along with the Embassy of Denmark, a key institution in keeping the Danish business community informed on the latest political and economic developments in Thailand. Moreover, it provides a forum for open and frank discussions between Thais and Danes on contemporary issues of concern. In addition, the DTCC works closely with the European Commission to Thailand and Asia House in Denmark. Joint events are often held with other bilateral Chambers in Thailand, in particular the Nordic Chambers of Commerce (Sweden, Norway and Finland). Furthermore, DanCham plays an active role in the activities of the Joint Foreign Chamber of Commerce Thailand (JFCCT). The JFCCT, representing more than 9000 members, has a number of relevant sub-committees that do an excellent job in improving the business environment in Thailand to the benefit of both Thai and foreign investors. DTCC is not responsible for the compliance by its members with Thai laws and regulations, nor for the quality or standards of the goods and services offered by DTCC members. If any person, whether or not a DTCC member, intends to have any dealings with any DTCC member, then it should make its own enquiries with regard to such matters, before it decides to enter into any commercial transactions with any DTCC member. We obtained the information on this website from sources we believe to be reliable. However, we have not verified its accuracy and make no guarantee, warranty or representation about it. It is submitted subject to the possibility of errors. Members should make their own enquiries with lawyers, accountants or other professionals before embarking on any transaction using material appearing on this website. We, the Danish-Thai Chamber of Commerce (“we”, “us” or “DTCC”) provide a network to build opportunities for Danish, international and local organisations in Thailand with ties to Danish business, we encourage trade and investment in Thailand and the Asia-Pacific region and we provide our members with practical support and advice, delivered via a range of scheduled events to share knowledge and expertise.